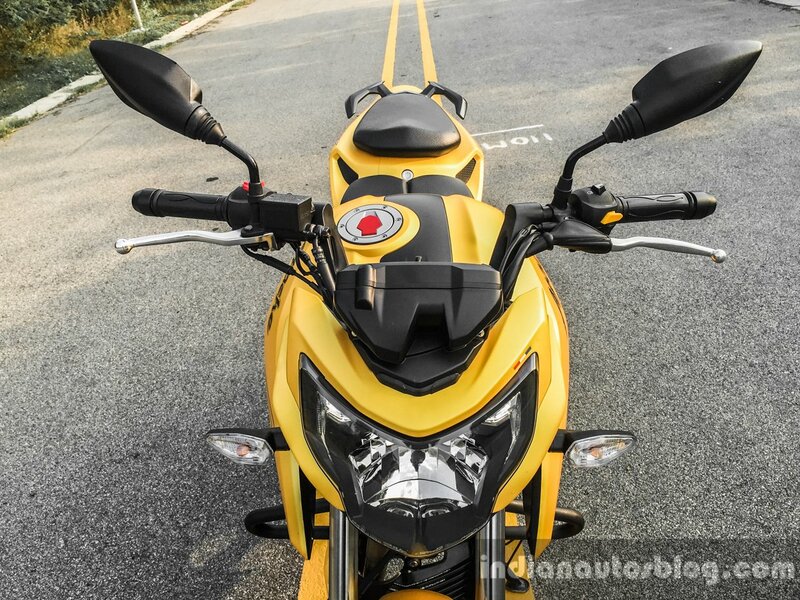 The TVS Apache RTR 200 4V was showcased in carburetted & fuel injected guises in January 2016. TVS Motor Company has confirmed to Indian Autos Blog that the fuel injected version of the TVS Apache RTR 200 4V will be available to customers by late-July 2017. 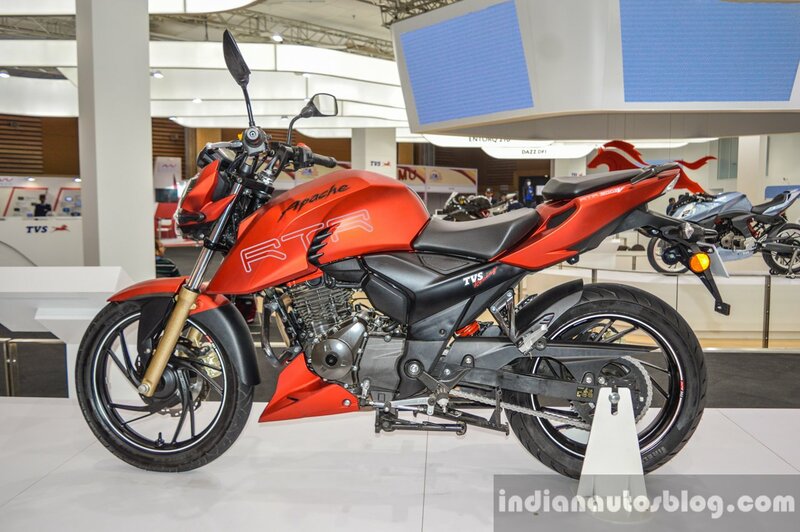 The fuel injected TVS Apache RTR 200 4V looks identical to the carburetted version and produces 0.5 PS additional power. There is high demand of the carburetor version of Apache RTR 200 currently and we are trying to complete the supplies for the same. However, the delivery for the FI and ABS variant is expected to start in the next couple of months. The TVS Apache RTR 200 4V with fuel injection is powered by the 197.75 cc oil-cooled mill coupled to a 5-speed gearbox. The engine is capable of producing 21 PS of maximum power at 8,500 rpm (0.5 PS more than the carb version) and 18.1 Nm of peak torque at 7,000 rpm. The bike takes 3.9 seconds to hit 60 km/h (0.05s less than carb version). Fuel injection should smoothen the throttle response and boost the fuel mileage slightly. The fuel injected TVS Apache RTR 200 4V weighs 0.5 kg more than the carburetted trim tipping the scale at 148.5 kg. It is expected to be only offered with premium Pirelli tyres while dual channel ABS with rear lift-off protection may be optional. The fuel injected TVS Apache 200 4V weighs 0.5 kg heavier than the standard variant yet takes less time to accelerate to 60 km/h. The TVS Apache RTR 200 4V with fuel injection is expected to be priced at around INR 1.15 lakhs (ex-Delhi).